Home > How Managed Legal Services Pricing works? Managed legal services approach is absolutely new style of providing legal services in Lithuania. It stands as an alternative to standard legal services providing and traditional hourly fee and is well suited towards sites that are looking to scale, or demand flexibility in their legal processes setup. However, a lot of corporate clients decide to use managed legal services approach due to its flexible style of pricing alone. But, what actually makes the managed legal services price model unique? That’s what we’re going to answer in this post. Below we’ll dive into the benefits of managed legal services and illuminate the pricing differences between traditional law firm and managed legal services provider. 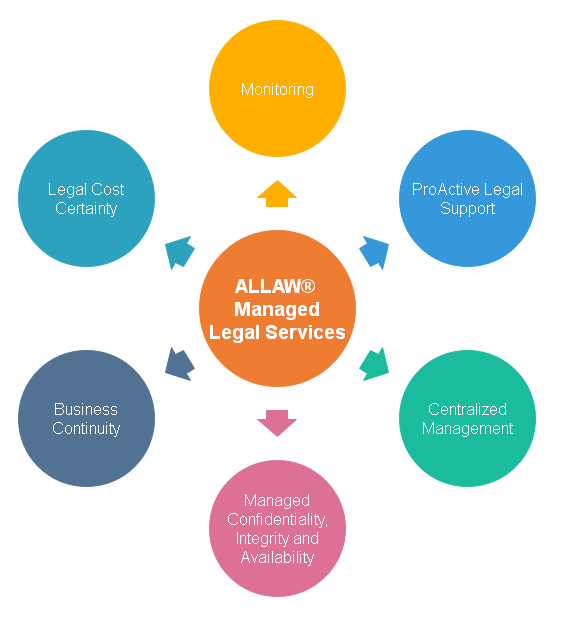 Why Use Managed Legal Services? Managed Legal Services approach is a unique legal service solution that allows for scalable resource use, and flexible pricing, all while getting very high levels of legal processes performance. Essentially managed legal services are the equivalent of having a legal department at your disposal. One of the highlights of this approach is the client’s ability to supervise and manage the ongoing legal tasks, projects, etc., while there are being executed, which means that the client is able to alter the project at any time. This also creates absolute transparency and flexibility in regard of the project in question, which allows to adjust the project to needs of the client at any stage of its execution. Also, it should be noted, that the client is able to monitor everything remotely. Considering the fact that the higher the number of challenges that the business might encounter, the effort, resources and time need to manage everything is not the main issue. Problems arise when changes occur; therefore, it is of crucial importance to foresee the potential problems and to resolve them beforehand. This translates into taking proactive measures in order to reduce the number of potential legal issues that the client could encounter. These services provide the client with a proactive support, which means a focus on risk identification, analysis and prevention. The best legal resources, experienced legal project management and the best LegalTech innovation provide for proficiency and efficiency in assuring clients’ satisfaction. With Managed Legal Services Pricing you get value-based pricing and pay your subscription fee. The fee is based on the value it brings to you, not how much time the matter took. This is done through strict resource usage monitoring. Through an intuitive user dashboard, you’ll be able to monitor and allocate additional lawyers very quickly. Plus, you’ll be able to see your legal departament overall work at a moment’s notice. This means you won’t have any surprises when it comes to billing. Think of legal services pricing as being similar to your electricity bill, depending upon your provider of course. Typically you’re paying based on how much electricity you consumed. You can even see the detailed wattage breakdown, so you can see how much you consumed and it’s relationship to your total bill. By now you should have a better grasp of how the managed legal service price model works and how it compares to more traditional law office pricing arrangements. If you need a flexible lawyer that’ll only cost you what you use, then managed legal services are an option worth considering.